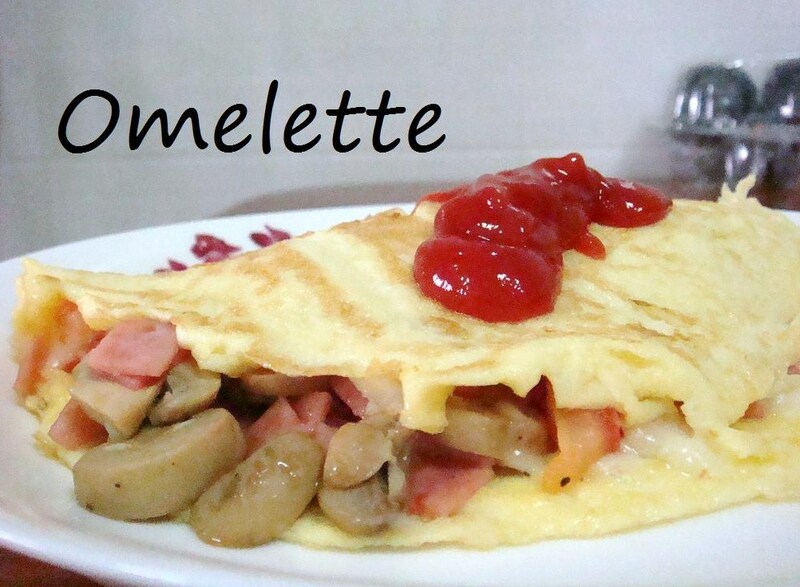 For my own omelette filling, I used ham, mushrooms and half a tomato. I diced the ham (if I’ve bacon I would definitely use bacon :D), sliced the mushrooms and diced the tomatoes. I’ve also used mozzarella cheese (cheddar cheese would have been fine as well). I heat a little oil in a non-stick pan and stir in ham dices to fry till a little crisp, then add in the mushrooms and tomatoes. (If using bacon, do not add oil. Fry the bacon to extract the oil then stir in the rest of the ingredients.) While they happily sizzling away in the pan, whisk the eggs with a pinch of salt till fluffy and bubbly. 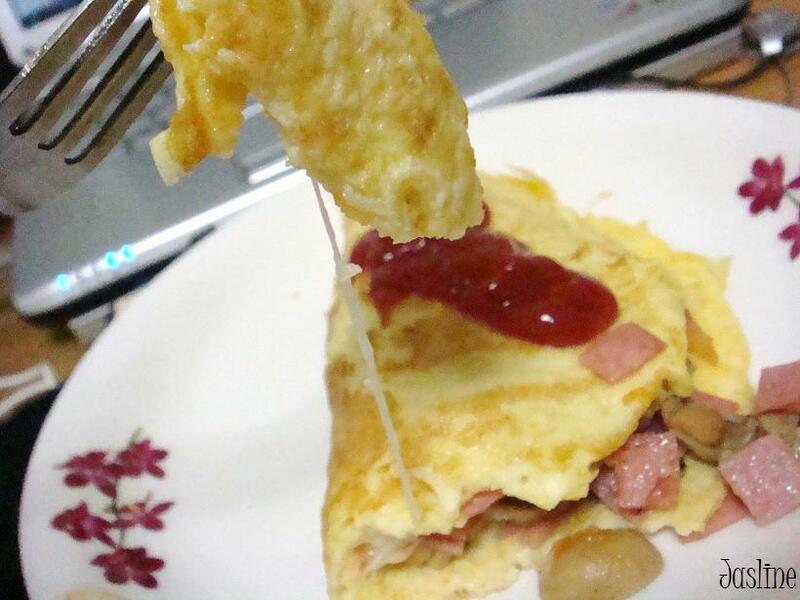 When the omelette filling mixture has been cooked, transfer them to a plate. Wipe clean the non-stick pan with a kitchen paper, then melt a knob of butter in a non-stick pan (for easy folding) and in goes the eggs. Let the eggs set for a while (make sure the bottom has not harden totally), using a wooden spoon, give the eggs a little mix (e.g. 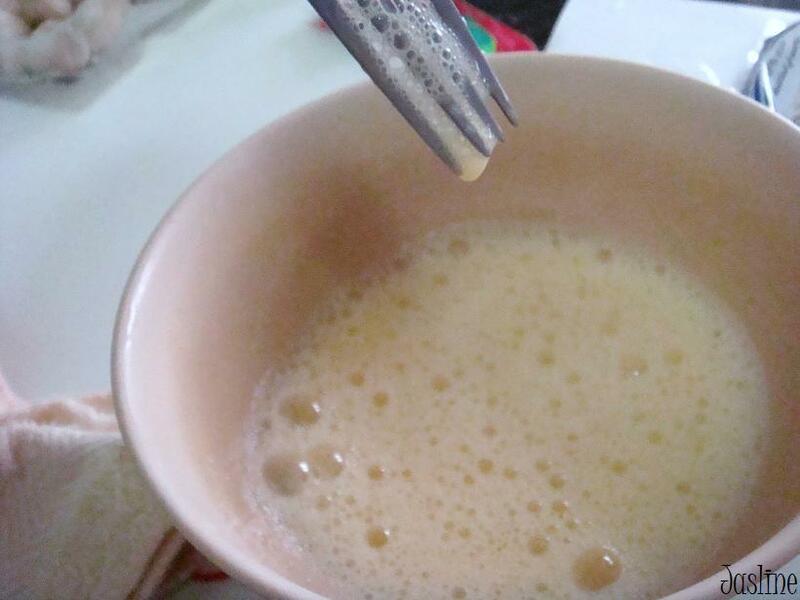 making an “S” shape through the eggs) so that the liquid eggs will flow out to be cooked. (there is no need to flip the eggs) When the mixture is 3/4 cooked, sprinkle cheese on top of eggs, wait for it to melt then add in the omelette filling. Fold the omelette in half and transfer to the serving plate. Serve immediately.